Internet connection：Required for registering and validating the program, as well as for some program functions. 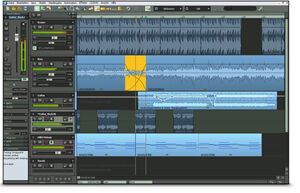 All MAGIX programs are developed with user-friendliness in mind so that all the basic features run smoothly and can be fully controlled, even on low-performance computers. The technical data for your computer can be found in the control panel of your operating system. Note：Only non copy-protected audio CDs can be imported. © 2016 u-Smart Technology Co.,Ltd. All Rights Reserved.